The Walking Dead is an American post-apocalyptic horror television series developed for television by Frank Darabont. It is based on the graphic novel series The Walking Dead by Robert Kirkman, Tony Moore, and Charlie Adlard. 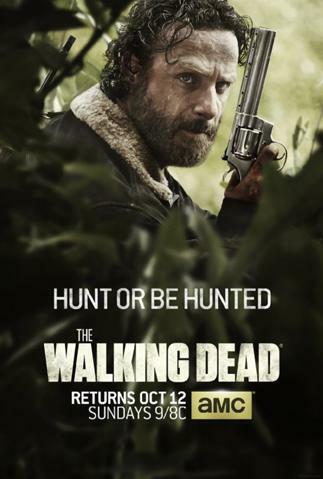 The series stars Andrew Lincoln as Sheriff's Deputy Rick Grimes who wakes up after being in a coma to find the world dominated by "walkers", resembling the zombies of George A. Romero's horror movies. He sets out to find his family and other survivors along the way. The Walking Dead premiered on October 31, 2010 on the cable television channel AMC in the United States.The first season premiered to wide acclaim and was nominated for several awards, including the Best Television Series Drama at the 68th Golden Globe Awards. 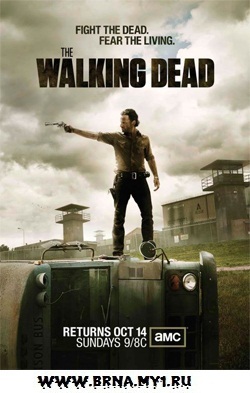 Based on its reception, AMC renewed the series for a second season of 13 episodes which premiered on October 16, 2011.Two episodes into the second season, AMC announced that the show would return for a third season. 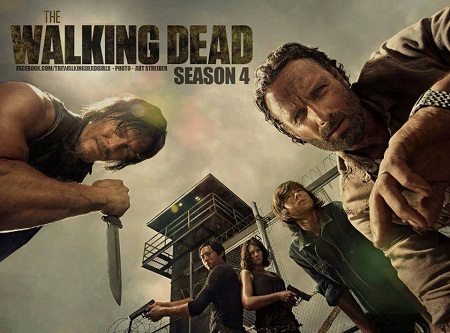 The first season of The Walking Dead was well received by critics, with a rating of 82 out of a 100 on Metacritic.The season one premiere was watched by over 5.3 million people.The season two premiere was watched by more than 7 million viewers.The Walking Dead also received many award nominations, including a Writers Guild of America Award and a Golden Globe Award for a Best Television Series Drama. 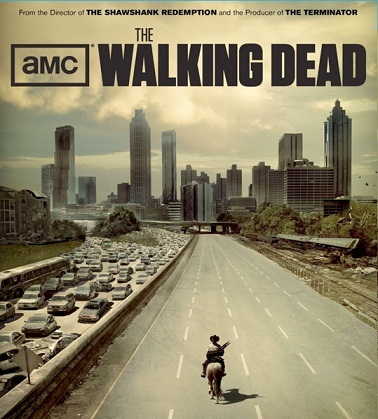 On December 21st, 2012, it was confirmed that AMC had renewed The Walking Dead for Season 4. It is confirmed the prison will be involved in the Season 4 storyline. 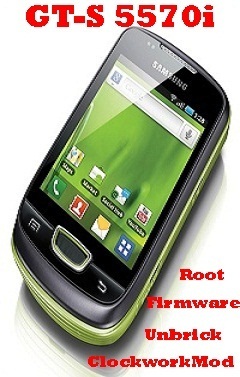 Production of the season started on May 6, 2013 and will consist of 16 episodes. New showrunner Scott Gimple will be taking over for Glen Mazzara. David Morrissey is set to reprise his role as The Governor, despite an initial one-season contract. A new character was announced for casting, who was later revealed to be Bob Stookey from the comic series. Bob is going to be portrayed by Lawrence Gilliard Jr. He will be a series regular. The Walking Dead has never been a show that embraced speed. Every unwieldy season, always broken into two parts so AMC can use its hit show year-round, has shambled around like its titular zombies, eventually granting viewers some satisfaction (the collapse of the farm, the slow downfall of the prison, the demise of the Governor) but only after stalling for as long as possible. So far—and we’re only two episodes in—the show’s fifth season seems much more propulsive, setting up new plots and then moving through them with surprising haste. Given previous seasons’ pace, one could have expected the showdown at cannibal camp Terminus to last a good six episodes. Instead, the place got burned down within a week. Now, for the first time in years, the central gang is all together with a mission: to get to Washington D.C. so that relatively new recruit Eugene can carry out his stated aim of wiping out the living dead with some kind of pathogen. This show is never better than when it’s on the move. Every time the cast has settled into a homier situation, be it the farm, the prison, or Woodbury, it’s been dramatically stagnant.